The followers of the "creationism of the young Earth" believe that our planet is not more than 6000 years old, despite the enormous amount of evidence that indicates the contrary. One of those tests is the Grand Canyon of the Colorado, whose layers exhibit about 2,000 million years of the geological record. 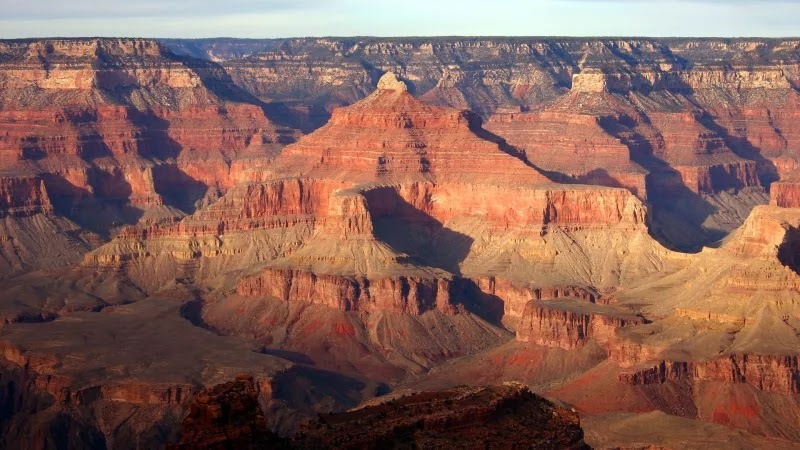 How does a creationist defend himself against an argument the size of the Grand Canyon? For example, assuring that its erosion is actually due to the Universal Flood mentioned in the Bible. Or at least that's what the group Answers in Genesis believes to which the doctor in geology Andrew Snelling belongs. Snelling has been working for years on an explanation of the Grand Canyon that is consistent with the Bible. In 2013, he asked the National Park Service for permission to collect some rock samples in the Arizona canyon, but he was told that his project had no value to justify the extraction. The creationist geologist wanted to collect a rock type known as a deformation structure to show that all the folds of the canyon were formed from soft sediments, which do not require long periods of time to create those structures. However, one of the academics advising the park said that such samples could be found anywhere in the world, so Snelling could pick them up outside the Grand Canyon. The creationist did not get his permit and in May of this year he sued the National Park Service. He argued that his rights had been violated when the federal agency rejected his request for his religious opinions. Finally the national park gave way to pressure and Snelling withdrew its claim in June. The creationist geologist will be able to collect about 40 samples the size of a fist, as long as he freely publishes the results of his study.